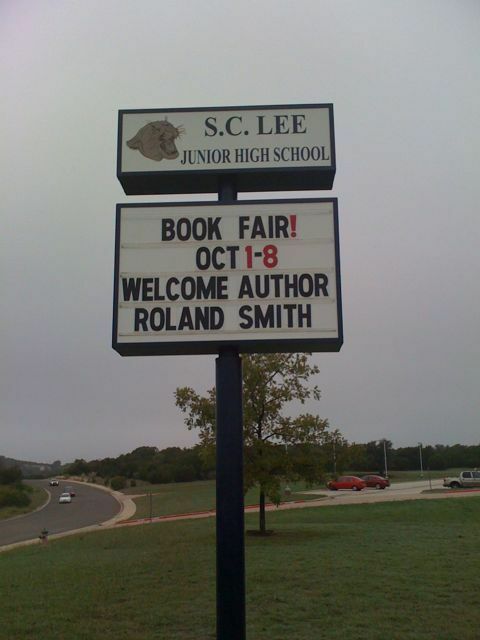 Today I’m at S. C. Lee Junior High School in Copperas Cove, Texas, which is about two hours north of Austin. But it took me three hours because I got lost! Hotel Clerk: How may I help you? Me: Hi, I’m a guest and I’m lost. Me: Good question. I’m using a GPS and I don’t have a map, so I don’t know. I found the hotel by dumb luck…eventually. I was miles away from where I was supposed to be. Super Librarian, Sandra Carswell, is my host at S.C. Lee. She did a fantastic job getting everything ready for the visit!